Emirates Hills registered six mega deals worth Dh181.50 million in total. A villa sold for Dh44 million in Emirates Hills, one of Dubai’s most affluent communities, topping the list of the 10 biggest villa deals completed in the second quarter of 2016. Data shared exclusively by Reidin.com with Emirates 24|7 reveals that the buyer paid Dh1,997 per square foot for the property, which was registered on June 26, 2016, with the Dubai Land Department (DLD). Emirates Hills registered six mega deals worth Dh181.50 million in total, while Palm Jumeirah registered four deals worth Dh84.65 million. 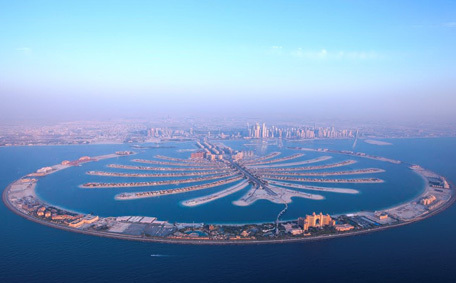 Palm Jumeirah registered four deals worth Dh84.65 million. In second, third and fourth position were transactions for villas in Emirates Hills, priced at Dh32.5 million, Dh32 million and Dh28 million, respectively. Emirates Hills houses luxury-detached villas that have been sold as plots to investors who can then build their properties. In fifth place was a deal worth Dh27 million on Palm Jumeirah, while the sixth biggest transaction was also registered in Emirates Hills with a villa selling for Dh25 million. Seventh position went to a Palm Jumeirah villa again, which sold for Dh22 million. Eighth position went to a Dh20 million villa deal in Emirates Hills with the final two position going to Palm Jumeirah villas which were purchased for Dh18 million and Dh17.65 million, respectively. Real estate transactions in Dubai reached Dh113 billion in the first six months, according to DLD. “Dubai has achieved a high percentage of growth with the value and the number of real estate transactions, which provides reassurance about the positive development that the property market is witnessing, and proves the attractiveness of the emirate’s real estate,” DLD Director-General Sultan Butti Bin Merjen said.